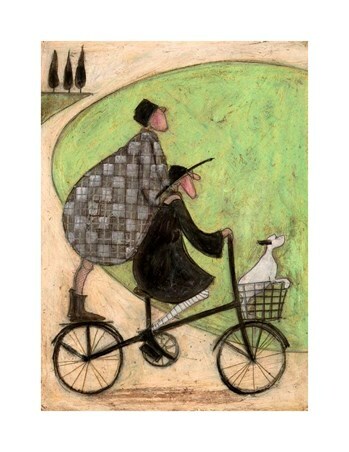 From the wonderful mind of Sam Toft comes this amazing canvas print. 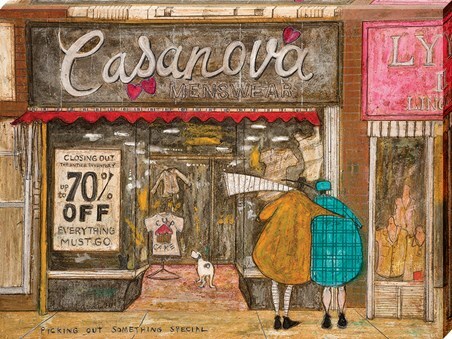 The English painter is famed for her light humor, artwork and paintings and has gained an enormous following of fans around the globe as a result. 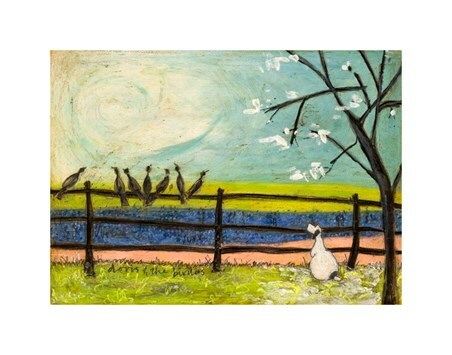 This beautiful canvas print features the now iconic character Mr Ernest Hemingway Mustard, as he peers up at an apple tree with his trusty dog Doris. The words 'The apple doesn't fall far from the tree' shadow the line of the lush green tree as rosy red apples fall by their feet. 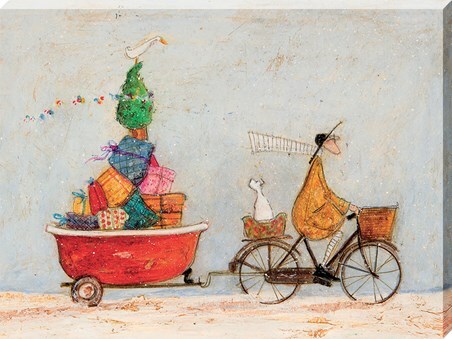 This beautiful canvas print is sure to make a charming addition to your Sam Toft collection or to be the start of your very own assortment. 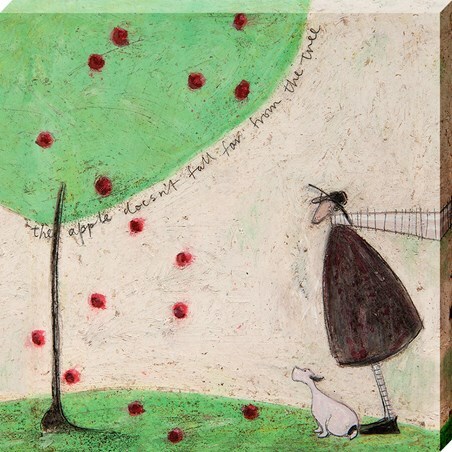 High quality, framed The Apple Doesn't Fall Far From The Tree, Sam Toft canvas print with a bespoke frame by our custom framing service.